Mike Benbow / For The Herald A heron looks for food in a drainage ditch in a farm field. STANWOOD — Birders spend a lot of time in the outdoors looking at birds. And that’s what next weekend’s Port Susan Snow Goose and Birding Festival is all about, rejoicing in the birds — snow geese, swans, and shorebirds — that visit the Stanwood area each winter, as well as looking at those that stay in the region year-round. This year’s festival takes place from 9 a.m. to 4 p.m. on Saturday and from 10 a.m. to 4 p.m. on Feb. 28. The headquarters are at 27130 102nd Ave. N.W. in Stanwood. As usual, the event is free and includes indoor seminars, some outdoor guided tours, and the information needed to conduct self-guided trips along good birding spots. The guided trips tend to fill up quickly, especially in bad weather, so register and sign up for what looks good ahead of time at www.snowgoosefest.org. One of my favorite events every year is the guided tour at the Nature Conservancy’s preserve on Port Susan Bay. There are a couple each day during the festival. The conservancy purchased the preserve area, which used to be part of the Stillaguamish River delta. The land had been diked and used as farm land for many years. The conservancy breached the dike, moved it back, and created a new delta that is popular with herons, eagles, swans, snow geese and a wide variety of other birds and wildlife. The new dike location allows visitors to take a nice waterfront walk along Port Susan. Since the preserve isn’t typically open to the public, the festival is a good time to see what’s happening with the property and to have professionals explain its importance. The Stillaguamish and Skagit river deltas were recently cited as important habitats deserving preservation by the Western Hemisphere Shorebird Reserve Network. Another popular guided tour, this one by bus, offers a look at the festival’s namesake — snow geese — as well as swans and eagles. There will be several bus tours each day staffed by biologists who can tell you about the big white birds from the north that visit the area in winter. The snow geese come from their breeding grounds on Wrangel Island in Russia; the swans come from Alaska. New this year is a three-hour tour of good birding spots on Camano Island. Experts will explain what you see and there will be stops at English Boom, Camano Center, Cama Beach State Park, and Iverson Spit Preserve. You can leave the bus at each stop for a 30-minute guided tour. In addition to tours, the festival headquarters offer a number of presentations from birding experts. Martha Jordan, of the Northwest Swan Conservation Association, will talk about our native swans. Karen Ulvestad will talk about improving techniques for bird photography. She’ll also provide tips for locating birds and advice on what equipment to buy. She also offers a related field seminar on the topic. Experts Gary Slater and Ruth Milner will provide a presentation on how to identify common shorebirds based on plumage and calls. Last but not least, Vasiliy Baranyuk, a former senior scientist at Wrangel Island Nature Preserve in Russia who has observed snow geese for 30 years, will talk about snow goose summering grounds in the Russian Arctic, which he visited last summer. Mike Benbow / For The Herald A bald eagle soars over a farm field in Silvana with the Cascade foothills in the background. Mike Benbow / For The Herald An eagle perches atop a power pole along Boe Road south of Stanwood. A heron hunts for food in a farm field south of Stanwood. Mike Benbow / For The Herald A pair of bald eagles watch feeding swans in the Stillaguamish River delta property purchased by the Nature Conservancy. The agency will offer tours next weekend during the birding festival. Mike Benbow / For The Herald A hawk fights with a bald eagle over food the eagle found in a farm field. Cheryl Bryan was born five days after Easter in 1960 — and she’s loved bunnies ever since. The rare bird statue hid the working parts of a 1927 radio and was a substitute for a large horn. This variety combines stunning colors with a pleasing form that fits into any landscape design. This epimedium gets its common names fairy wings and bishop’s hat for its dainty spring flowers. It’s all in selecting the right barrels. They’ve got to be wet with bourbon, their former contents. 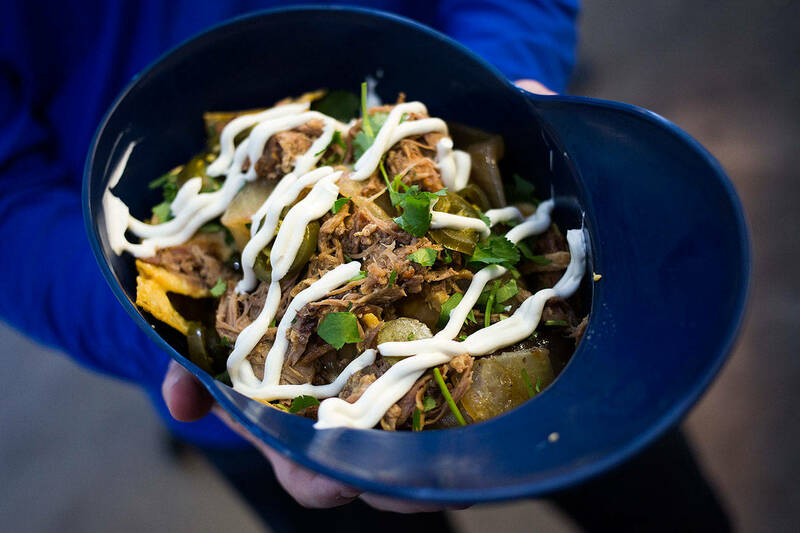 You could buy yourself some peanuts and Cracker Jacks, but there’s a whole lot more on the menu. Winners also are named for best dessert, white, rose and nongrape wines. Comedians will perform sober, get high, then perform again at the event held on (when else?) 4-20. Elle Fanning plays a sullen teen who pursues her dream of winning a TV singing competition. In addition to the hunts, listed by city, check out the annual Snohomish Easter Parade on April 20. The birds are dying by the thousands as a result of plastic pollution swirling in the oceans. Passengers ride in comfort and quiet, along with new safety, technology and revised styling.